April showers bring may flowers...however, it still makes for some dark and dreary days. 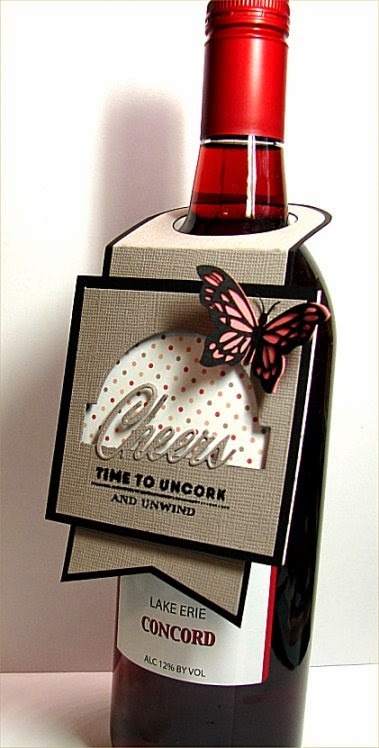 so to brighten my mood I've been making wine bottle tags. I had watched a video on double partial die cutting and wanted to give it a try. and layered it over the original for a little more dimension. 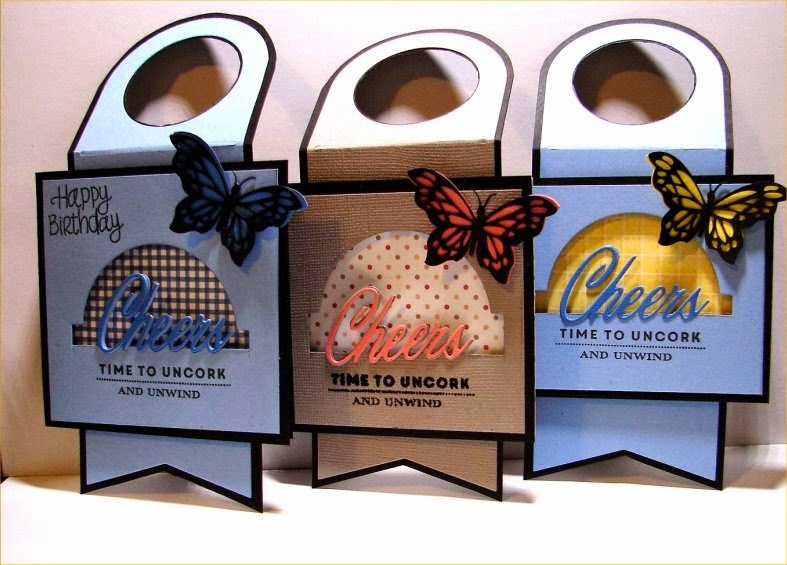 Doni, these bottle tags are just beautiful ! I love everything about them, everything.